The Calgary Flames have signed restricted free agent Johnny Gaudreau to a six-year contract worth a reported $40.5 million. The 23-year-old led the Flames in goals and assists last season, plus he was tied for sixth in the league in points with 78. With the signing, Calgary has locked up a key component. They also signed Sean Monahan, Gaudreau’s linemate for the past two seasons, back in August. The duo has combined for 112 goals and 267 points. In 160 career games, Gaudreau has 143 points – including 55 goals and 88 assists. 14 of his goals have come on the power play. The Flames picked the Salem native in the fourth round of the 2011 NHL Entry Draft and he’s become a fixture on the roster ever since he debuted. He has the sixth-best point-per-game average in the league since the 2014-2015 season and played for Team North America at the World Cup of Hockey. 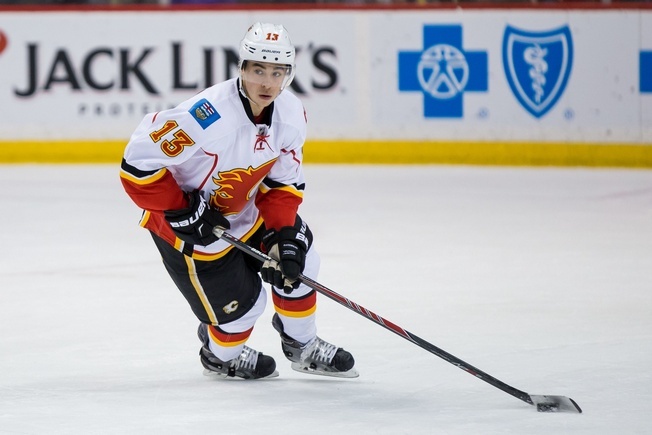 Gaudreau had been in a bit of a contract standoff with the Flames throughout the summer. Word around the campfire was that he was asking for around $8 million a year, so Calgary was able to get him to come down a bit in order to sign a longer-term deal. Gaudreau missed all of training camp due to the contract dispute, but now the deal is done and he’ll be in the lineup for the season opener on Wednesday as the Flames take on the Edmonton Oilers at Rogers Place.